Thanksgiving Camps keep kids entertained, active and wanting to come back for more! 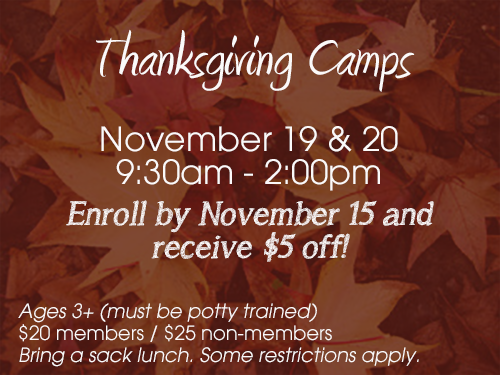 Enroll by November 15 to receive $5 off! Excite! Holiday Camps keep kids entertained, active and wanting to come back for more! xcite! Holiday Camps keep kids entertained, active and wanting to come back for more!